• Church – 5 hrs. • Other – 20 hrs. • Church – 10 hrs. • Other – 40 hrs. • Community – 15 hrs. • Missions – 15 hrs. • Other – 60 hrs. • Outpost (5 hours): Service hours beyond weekly meetings, regular outings, and training. The outpost coordinator preapproves the efforts of the member to insure the service helps the outpost accomplish its “evangelize-equip-empower” mission. Projects may include but are not limited to: camp gear preparation, cleaning gear and packing for trips, meeting room cleaning and upkeep, outpost evangelism such as hand out Royal Rangers promotional material in the surrounding community, and outpost promotion like Web site and social media development with the approval of the outpost coordinator and his signature on the Trappers Brigade application. • Church (5 hours): Service hours beyond the outpost. The pastor responsible for overseeing Royal Rangers in the local church preapproves the efforts of the member to insure the service helps the church accomplish the pastoral vision. The pastor will also sign the Trappers Brigade application. Service hours related to leadership merits of any color may be counted. • Community (5 hours): Service hours beyond the outpost and the church. These efforts will represent the church in the community. The service rendered must be preapproved by pastoral leadership to best represent the church in the community. 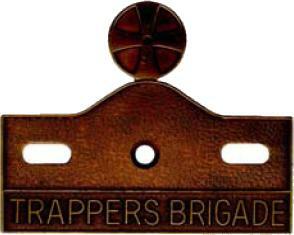 The pastor overseeing Royal Rangers in the local outpost will sign the Trappers Brigade application. Involving as many Royal Rangers as possible is encouraged, especially when done in conjunction with earning leadership merits of any color, as long as they have not been applied to church service. • Missions (5 hours): Service hours that benefi t Royal Rangers’ priority missions initiatives are suggested—Royal Ranger International, PathFinder Missions, BGMC Master’s Toolbox, and Speed the Light. Hours may include both actual hours served in ministry and hours involved in the promotion of the missions initiatives, such as fund-raising. Visit the national Royal Rangers ministry Web site for links to these ministry Web sites for ways to get involved. 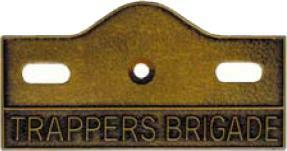 Hours devoted to other Assemblies of God missions ministries are also worthwhile, and may be counted as missions hours for Trappers Brigade. The service rendered must be coordinated with pastoral leadership in advance to best represent the church’s missions efforts. The pastor will also sign the Trappers Brigade application. Note: In a non-AG outpost, members should support the middle and high school-age missions program of their denomination. 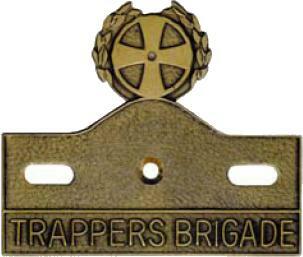 • Other (20 hours): In addition to the four primary areas of service (Outpost, Church, Community, and Missions), Christian service performed in other areas other will qualify for additional Trappers Brigade hours. Service may include: Camporama/ Rendezvous work week, district work days, or volunteer service with organizations such as the American Red Cross, Habitat for Humanity, Humane Society, etc. Service is verified and approved by either the outpost coordinator or the pastor responsible for oversight of Royal Rangers.